Do you have something unique which you want to showcase to the world? Are you a new business owner looking to market your product? We’ve got the fix for you. If you have the product, we have the audience. Whether you’re looking for a short article on your establishment, some professional photos or even a promotional video, we do it all. 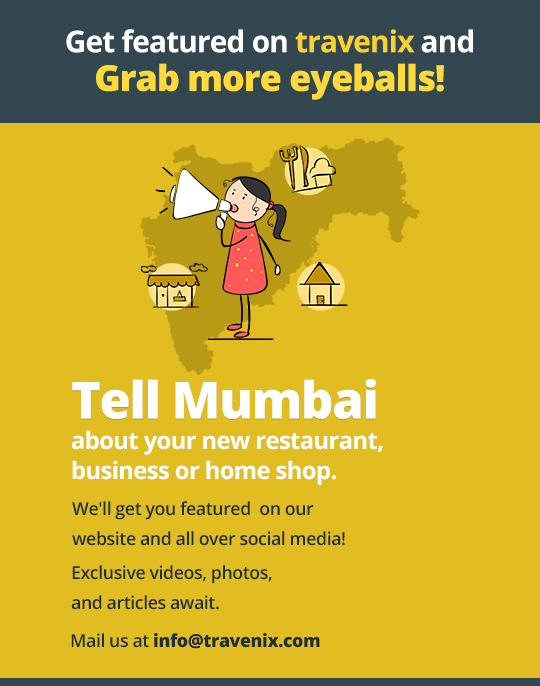 With a strong following on website and social media, we can give you the best audience in Mumbai for affordable rates and market your product to them and help in building your brand image. Contact us at info@travenix.com for detailed rates or fill in your requirements in the form below and we’ll get in touch with you with a customized quote.